New and used RVs for sale in London Kentucky. Including New Travel Trailers, Campers, Fifth Wheels, Toy Haulers and Motor Homes. If you're shopping for New or Used RV for sale in Kentucky, Big Daddy RVs should be your first stop. Why Big Daddy's? We have Guaranteed Best Prices on all New RVs and Used RVs in stock and we can deliver your RV at low delivery rates. Plus, we have outstanding customer service -- just read our Customer Reviews. Don't overpay for your New or Used RV. We beat any price. Contact Us and dare to compare. Big Daddy RVs is a family owned and operated RV dealer centrally located in the Southeastern United States just off Interstate 75 in Kentucky. We take pride that our customers are our #1 priority. That's why BigDaddyRVs.com has become the biggest RV Wholesalers with the GUARANTEED BEST PRICES! We are located conveniently off I 75 east of Bowling Green KY and north of Knoxville TN. Other RV Liquidators or RV Wholesalers can not match our RVs for sale at wholesale pricing! As a Big Daddy RVs customer, you will also enjoy preferred service after the sale. Our newly designed service and prep-facility includes a large private entrance and on-site LP gas fueling station. Prior to delivery or pickup our units go through a more than 100-point checklist and instruction process. Each RV is fully detailed, literally from the top down during our final inspection process. From the more important details like plumbing and electric, to the smallest of details like checking the batteries in your remote controls; these RV services and countless others are performed right here at BigDaddyRVs.com. Best of all, these services are provided at no additional charge to you. We make sure your new RV is 100% ready or it doesn't have our name on it! Big Daddy RVs offers RV financing! We have great banks that we finance through and we are here to help you get the best rates. When you finance your purchase instead of liquidating assets or paying cash, you maintain your personal financial flexibility. Plus, your RV may qualify for some of the same tax benefits as a second home mortgage. Whether you are picking up your new RV, or having us deliver it for you, you will be greeted by one of our techs and given an extensive RV orientation showing you not only how everything works. but, that everything is working properly. Our team will work hard to make sure you have the exceptional service you deserve. Our fully stocked RV parts warehouse has everything you need to make your RV experience a memorable one. Everything from the latest accessories to products to keep your RV at peek performance. If you require a hard to find or specialty part, we can order and ship it with expedited delivery featuring the latest in online ordering and tracking software through our sister company RVPartsCountry.com supporting our tremendous team of RVIA and RVDA member employees who get the job done right. Don't worry if you're on the road and have service questions or concerns Big Daddy RV's has our Lifetime Warranty which means you have less to worry about! Thousands upon thousands of RV enthusiasts have traveled from all across the United States and Canada to take advantage of Big Daddy RV's wholesale pricing and exceptional service. While visiting Big Daddy RV's we hope you will take a look at our customer testimonials from all over the country and see what they had to say about their experience here at Big Daddy RV's. We have a great selection of RV's for sale! WHY PAY MORE? NOBODY BEATS OUR PRICES GUARANTEED! If you are looking for an RV dealer near Bowling Green, KY, Lexington, KY, Nashville, TN, Knoxville, TN and Cincinnati, Ohio we are only a short drive away and with a huge selection of New & Used RVs for sale. Our mission is to continue to give our customers the quality attention for which we have become known, providing great customer service before, during & after the sale. If you love the outdoors, then Big Daddy RVs is naturally the best for you. We offer a fun family atmosphere for all your RV and Camper needs. Rest assured... we don't stop there. The service that Big Daddy RVs will offer you is second to none. On this site you will find valuable information about buying a new or used RV or Camper and links to RV resources. We will help you ever step of the way. From choosing the right unit for your family, to getting your unit financed, to maintaining your RV investment. Big Daddy will always be there to help. Want to connect with other RVers and enjoy RV lifestyle tips and tricks? Connect with us on social media today! Big Daddy RVs Door 2 Door Delivery Service! Big Daddy’s Door 2 Door Delivery service lets you look for an RV from the comfort of your home and we will then deliver it right to your door. With Big Daddy RVs wholesale RV Pricing we have customers from all over the Unites States and although a lot of customers want to make the trip to our dealership some customers would prefer to have their new RV delivered to them. We take the work out of purchasing an RV. How Does Big Daddy’s Door 2 Door Delivery Work? * Browse our huge selection of in stock and available to order inventory online. * Study and get to know the RVs with our photos, videos, specs and floor plans. * Request to have more information sent to you or have a sales person call you. * Our highly trained staff will work with you on getting all the paper work done. We can even do financing if you have your RV delivered. * Once all the paper work is done you set the date you would like your new RV delivered. * We will have a driver deliver your New RV to you, whether you want it at your home, a camp ground or wherever you choose. * Now you can take to the open road to make lots of memories with your family! All New RV's Come with Exclusive Lifetime Warranty! Buy With Confidence! Big Daddy RVs is proud to bring the number one lite-weight travel trailer and fifth wheel campers and RV on the road to you, Flagstaff by Forest River. Flagstaff campers and Rockwood campers have been voted number one by customers around the world in its class of lite-weights. Big Daddy Rv's has a huge selection of wholesale campers for sale. Also, if you're looking for something to suit any needs, browse our selection of Outback 5th Wheels and Travel Trailer campers by Keystone RV. Big Daddy RV's service department is staffed with certified and experienced technicians that are capable of handling virtually any need. We have a nationwide service network to make sure that all our customers are taken care of. For more information on Big Daddy's National service network contact us. We are an RV warranty facility for Keystone RV, Forest River RV and Heartland RV. We want to work with your manufacturer to get you back on the road as soon as possible. Contact us to make an appointment today. 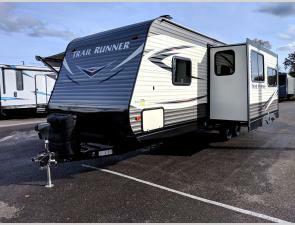 If you are looking for a new cheap travel trailer RV for sale or a cheap fifth wheel camper for sale Big Daddy RVs is the place to go. Big Daddy RVs has a large selection of new campers for sale from the top manufactures. We also have a large selection of Cheap Class C motor homes for sale. Visit our facebook page to see new inventory and floor plans. Like us and be updated when a new floor plan arrives at Big Daddy RV's. We also do monthly giveaways with great prizes. Our Facebook page is a great place to see whats going on with Big Daddy RV's.